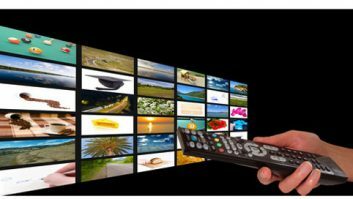 Not long after IBC2012, a collaborative industry project — the Future of Innovation in Television Technology (FITT) taskforce — was launched, and the findings have now been made available. The report covers new reviews of consumer trends, the evolution of devices and applications, computing for the creative industries, data management, and future networks and infrastructure. The steering group made 13 recommendations based on the evidence from this work. These include the establishment of a leaders assembly to guide a next generation TV technology planning programme; a technology advocacy programme for innovators to share newly-developed technologies and applications; and a cross industry working group to respond to the challenges of big data in TV. The taskforce noted anxieties about privacy, which it says remain the biggest barrier to widespread consumer adoption of video on any device at any time in any place, and said that this highlights the need for transparency from providers — potentially delivered via an industry-led review of self-regulation — and digital literacy programmes for consumers.